A photo of Courtney Pieters. The 3-year-old was missing for 9 days, then found in a shallow grave about two-thirds of a mile from her home. She had been raped twice. Her fate was not as unusual as you would wish it to be. Last year, the United Nations ranked South Africa among the world's 10 most violent nations. According to police figures, each year 800 to 900 children are murdered in South Africa, a nation of 54 million people. "In terms of child murders, we see in a year what the United Kingdom sees in 10 years," says Shanaaz Mathews, who directs the Children's Institute at the University of Cape Town (UCT). In England and Wales, with a combined population of about 58 million, there are roughly 135 child murders a year, according to the U.K.'s Office for National Statistics. In South Africa, some women hide their pregnancies and dump their babies soon after birth. "If you conceal the birth well enough, they'll never be found," says Lorna Martin, a forensic pathologist who has performed thousands of autopsies in Cape Town, "so we don't know how many babies are being murdered." Still, municipal workers sometimes find corpses of children discarded by the side of the road, or along riverways or at the city dump. Martin and Matthews are leading a pilot project that examines the cases of all the dead children in the busy mortuaries outside of Cape Town and Durban, respectively the nation's second and third largest cities. Their pilot study of cases in 2014 found that the rate of child homicide is substantially higher than what has been reported in police statistics. "Every three or four months, there's a story in the newspaper that they found a fetus or a baby abandoned in a dustbin somewhere, and the child died," says Dr. Chris Scott, a Cape Town pediatrician who participates in the death review process. "We are seeing several of those a month in our study. It's a complete epidemic that no one's speaking about." Perhaps that will start to change with the attention being paid to the Pieters case. The Children's Institute, UNICEF and the national Department of Social Development, along with other groups, sponsored a two-day conference this week to find ways to reduce violence against children. Other horrific murders of children have from time to time shocked the conscience of the nation, sometimes leading to protests. Yet after the initial shock from those individual incidents wears off, the problem has largely been shunted aside. Responsibility for the prevention of child homicides is split between different agencies, meaning no single entity has embraced it as a priority or mission. "We in the health care system don't think it's our problem," Scott says. "The police don't think it's their problem. Social workers are overwhelmed. Who's going to fix the problem?" The pilot child death review panels being sponsored by UCT are specifically designed to promote cooperation among the various players. Pathologists and other doctors are brought together with prosecutors, police and social workers. They determine whether a child's death was likely accidental or homicide. If it looks like murder, a prosecutor might instruct the police then and there to pick up the file and start investigating. The panels are not just looking for murder. Many other causes of death involving young children should be preventable. By closely studying each case, the assembled experts can look for patterns and figure out how to keep more children from dying. For example, after the panel in Durban found that children were killed playing with live wires, they put pressure on local authorities to address the problem of illegally-connected electric lines and to offer safety tips to parents. In some cases where children died because of severe negligence, their siblings have been taken from the home. "They were removed because it was deemed to be too unsafe for them to stay where they were," Martin says. "That would never have happened if it had not been for this child death review process." Child death review panels first sprang up in the U.S. about 20 years ago in Missouri, driven by similar concerns about child abuse that resulted in homicide. There are now review panels in place in every state , which may be run locally but are generally overseen by state public health departments. Their portfolio has expanded well beyond abuse cases, leading to improved policies and practices that have shrunk the number of deaths from suffocation and sudden infant death syndrome (SIDS). "We just understand the deaths better because we investigate them better," says Teri Covington, director of the National Center for Fatality Review and Prevention. "We have a pretty robust review program in the U.S., even though there are no dedicated federal dollars to do this." Child death reviews are now standard in rich nations but are still highly unusual in the developing world. "What they're doing in South Africa is one of the first times this has happened, especially doing it in such a systematic way," Covington says. What the South African researchers have found is that most of the murders of children happen in two phases of life: newborns up to children under 5, who are usually killed by adults, and pre-teens and teenagers, who are primarily killed by their peers. Despite the nation's liberal abortion and contraceptive laws, a study from UCT and the South African Medical Research Council last year noted that "there are numerous barriers that women encounter when seeking a legal abortion in the public sector," ranging from religious objections by health care workers to lack of trained staff to perform the procedure. Some women carry babies to term only to dump them or otherwise kill them after birth. "There are so many mothers who obviously feel they can't get a termination and instead would conceal their pregnancy and conceal their baby and then murder the child," says Lorna Martin, who heads the division of forensic medicine at UCT. Such deaths are called "concealment of birth" by the South African police, not murder, which explains why police figures are lower than the murder rate found by the death review teams. Neonaticide, or murder of newborns less than a month old, is mostly committed by the mother, according to the UCT/Medical Research Council study. 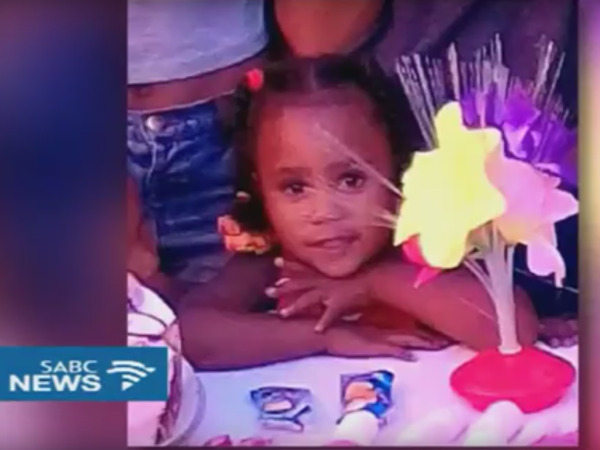 Among slightly older children, the killer may be the boyfriend of the mother or may be the father himself, says Albert Fritz, minister of social development for the Western Cape province, which includes Cape Town. "It's just impossible to believe that one human being, in many cases the biological father of the child, can do this to a child," Fritz says. Drugs underpin the second type of child murder plaguing South Africa. As young as 9 or 10, boys are killing other boys, junior gangsters sent to kill off members of other gangs, either as part of turf battles or in an effort to kill off rivals' younger recruits. "After they move up in the ranks, then they must start to kill," says a homicide detective in Cape Town, who cannot be identified by name because of his position. "Currently, I've got four active cases where kids were murdered." In one of the cases, he said, the suspects were 18, 14, and 13. Getting convictions, or even testimony from witnesses, is difficult, the detective says. If the shooter is under 15, it's practically impossible to prosecute him anyway, because children under 14 are considered incapable of criminal responsibility under South African law. The horror of Courtney Pieters' death has made the murder of children a subject of discussion and media coverage, at least for now. In response to her death, Zuma called the killing of women and children a "crisis" in the country. Within the medical community, at least, the child death review panels has made professionals much more aware of the scope of the issues involved. There's hope of expanding such work throughout the country. "It's a situation born out of poverty and desperation," says Scott, the Cape Town pediatrician. "It's a situation born out of poverty and desperation." Alan Greenblatt is a former NPR reporter who lived in South Africa for five months last year. Contact him @AlanGreenblatt.